Parallax scrolling is an incredible tool used to ramp-up your mobile application’s user experience (UX). Keeping the user engaged and focused is part of developing a quality experience that will bring the user back to your app time and again. Parallax scrolling is a computer graphics technique which creates a 3-D environment using 2-D elements. By establishing a differential between the display of foreground elements and background elements, a sense of depth (parallax) is created. In the end, it’s visually entertaining. The visual applications are endless. Here are 2 websites that entertain us using this technique. They demonstrate the incredible power of parallax scrolling. Look at this example that takes you under the sea, and here we see an infographic of your brain! The amount of displayed parallax often differs between platforms. A website viewed on a desktop may show a tremendous amount of the scrolling differential between visual elements. That same site, viewed on smaller platforms, will probably reduce the amount of displayed parallax. What you see on a desktop probably will be a much richer and fuller UX than what is presented on a smartphone. This is the nature of responsive website elements. The use of this tool is currently a strong growth trend for both responsive websites and mobile apps. Regardless of the size of your company, creating a responsive mobile website and mobile app is a smart way to market your service or brand. Today over 50 percent of American adults own a smartphone, and 80 percent of Internet users use a smartphone. These statistics show how mobile applications have become a necessity rather than a luxury. In order to stay relevant with today’s online marketplace, quality engagement is key. Due to an abundance of mobile applications, deciding how to differentiate yourself can be a challenge. 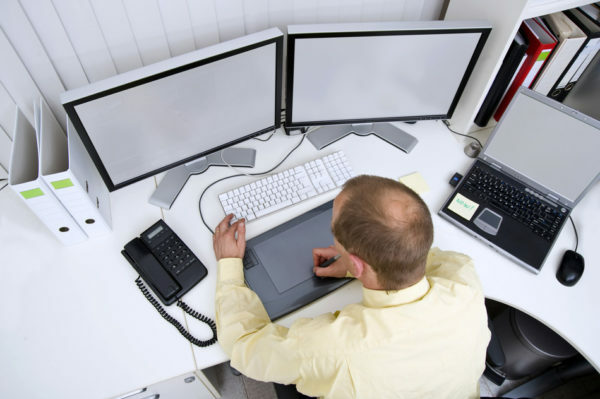 Tools like parallax scrolling can help overcome those challenges. Parallax scrolling creates depth and movement of images that add to the application design and sophistication. Developing an application that grabs user’s attention is the key. The developer’s goal is to engage the individual. The experience itself is meant to impress the onlooker, tell a story, but also to clearly state the benefits of that service or company. This tool is designed to make your web and mobile applications stand out as a ‘one-of-a-kind’, one to be remembered. Parallax scrolling provides a new fun way to experience a mobile app. It is a tool that developers use to provide depth and texture to their content. By carefully structuring content, users may not mind spending time exploring your app or your business. When you are ready to explore the graphical world created by your next mobile application, contact Colure’s project management team.